I had some possible Reverse culture shock - maybe it was too clean? 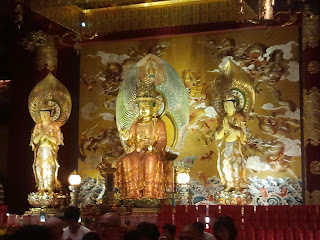 Singapore felt like a museum, look but don't touch! After a day or two I settled down and really liked it though - but I still struggled with the prices. 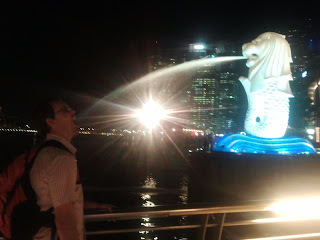 There were great views - Marina Bay, a crazy Huge Boat on top of a hotel, the Merlion - the symbol of Singapore-, not to mention the crazy amounts of skyscrapers. It was CRAZY expensive - $11+ for a combo at Carls Jr or Burger King - so, we ate bread, peanut butter, nutella, and some apples for most of the 3 days we were there. Our hotel was in a scary area - much dirtier than the city center area, and apparently it is the prostitute district. At night, when we came back, we had to walk down the street through a crowd of women dressed to impress, and the only other people in that area of town were men - loads and loads of men. It was a really creepy feeling. That and knowing our hotel rents the rooms on the first 4 floors by the hour, and only the 5th and 6th floor rooms for regular customers (according to our French friends who have stayed there before). It was affordable and relatively clean though, so we couldn't complain too much. But it did have a weird chemical smell and the mattress was plastic, but what can you do? The Metro was really awesome. It was way more efficient than the one in KL, very quick, and very clean. 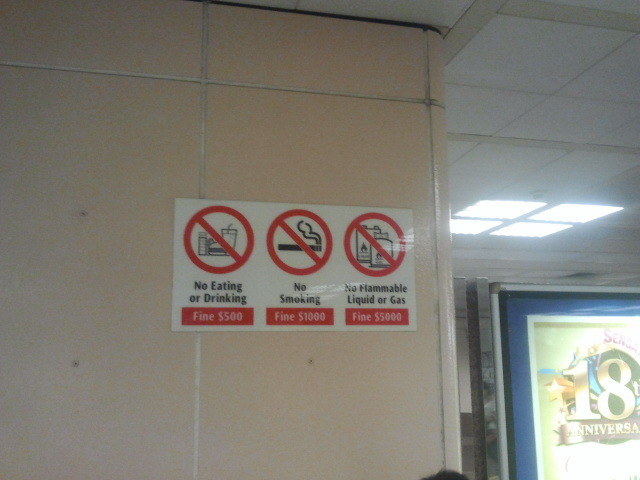 And if you take Durian on the metro it's a $1000 SD fine. We walked, and walked, and walked, and walked. It was an awesome time, but I've never been so tired of walking EVER. 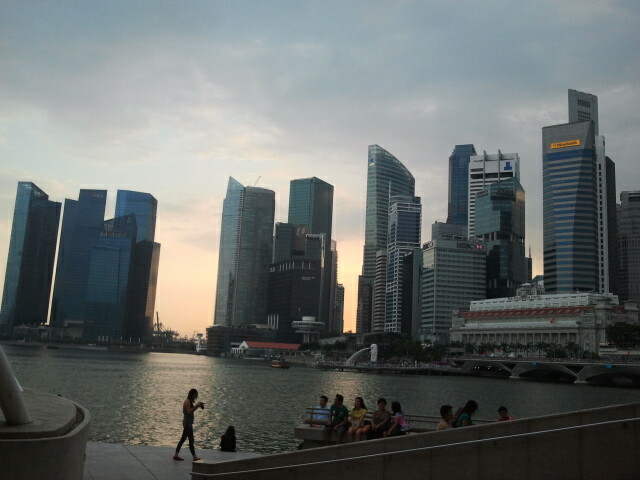 Beautiful city! It looked like a city out of a SciFi story - everything looked very new, polished, and uber modern. They jokingly call Singapore a "Fine" City - there are fines for just about everything - here's a few of them! Plantain!!! I was so excited! 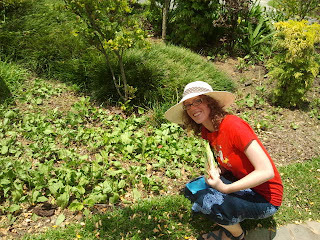 There is a part of the Botanical Gardens called the Healing Garden - that is made up of different medicinal plants with little plaques describing their uses. I could have spent all day wandering through this part of the garden - but it was murderously hot outside, so we had to leave after just a bit of meandering. If only I could have brought a few seeds with me to Vietnam... I could sure use it with all the mosquito bites! 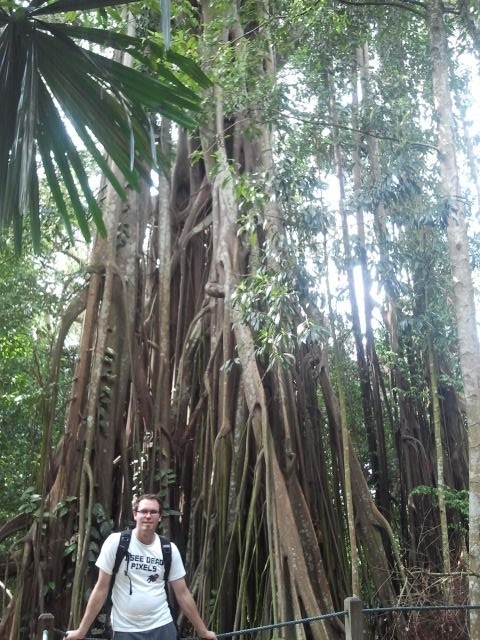 Awesome huge tree at the Botanic Gardens. 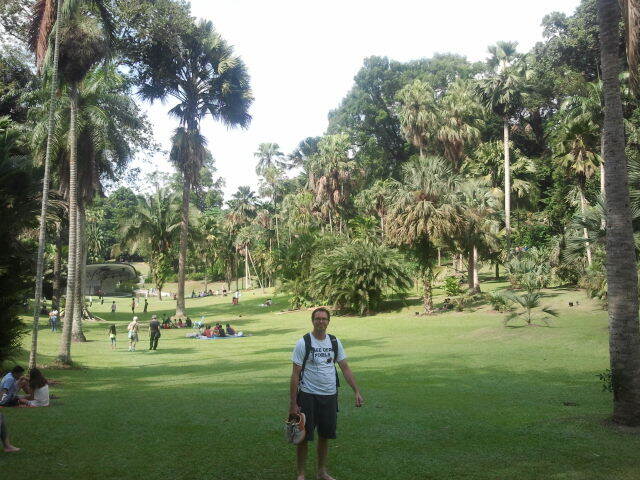 Michael at the open grounds of the Botanic Gardens. The photo doesn't even start to capture the immense size of the gardens, it was beautiful! 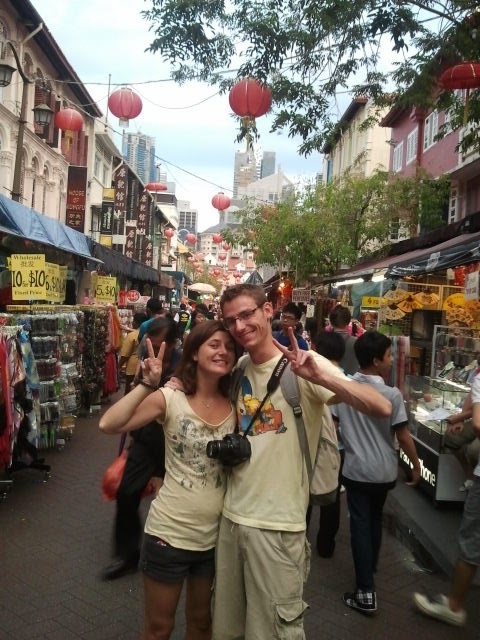 Geraldine and Xavier in China Town. 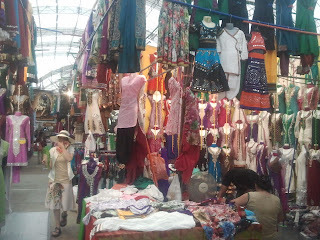 We spent hours hobbling through the shops looking for trinkets to bring back home. It's custom in Vietnam that when you go somewhere, you bring something back for people, so we had fun finding gifts for Gamelofters - there was a lot of neat stuff though that was out of our limited price range, we need to return with more moolah! There were some beautiful Chinese temples. This one was huge, with lots of different deities, video to follow. This was the most awesome market in Little India! There were clothes everywhere, and other stuff too, but mostly clothes. I got a little outfit (that is cool but proved poorly made), and Michael got a really awesome Indian style shirt - it goes to his calves! So cool! This was the BEST INDIAN FOOD EVER. After finding the awesome market in Little India, we needed food - this was a plate of foods from Northern India. It had some yellow dal, some curries, some briyani, bread, soup, and a tasty dessert soaked in syrup. It was AMAZING!! This was one of my favorite buildings, the windows were a rainbow of colors, so neat! This place was near the center of town, and it had these awesome structures that were like giant fans - but they look like space-ship parts or something. Yay for crazy buildings! I love the shot, but I was feeling like my feet were totally worn down to little stumps of pain by this point. 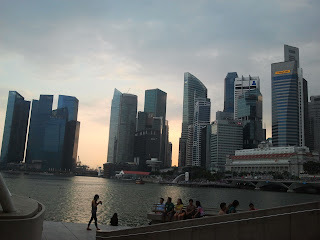 A panorama of Marina Bay. Some of Michael's favorite buildings. Panorama of the bay with the mall on the right side. Awesome architecture at the Marina Bay Mall. There was a river inside the Marina Bay Mall! So nuts! You could even take a ride in a little gondola-like thing. It was really awesome. Here's an awesome shot of Gardens by the Bay, it was cool, but you could tell it was still new, so the gardens weren't really grown yet in some areas. 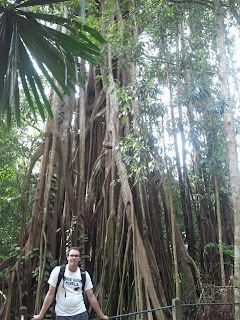 But the giant "trees" were really awesome. This bench was really awesome, but it thought Michael looked better! On Saturday night, we boarded the train back to Malaysia to avoid one more night in the pricey hotel - but unfortunately it was a crazy bad idea. The train doors were open the entire time, so it was crazy noisy, and then somehow it was freezing - I haven't been that cold since February back in Utah - really crazy. So, needless to say, none of us got much sleep. After arriving in KL at 6:30AM Sunday, we all kind of rested a bit while our friends and Michael were sick - it was a rough day. Sadly, we were unable to make it to one of the LDS Branches in KL due to Michael being sick and us not knowing the city well enough to attempt it. But in the end we all made it back to Da Nang safe and sound and were able to take a much needed nap when we got home - after figuring out how to get in our house since the landlord had locked the door and we didn't have a key to the deadbolt. SOOOO AWESOME! I'd love to go there!